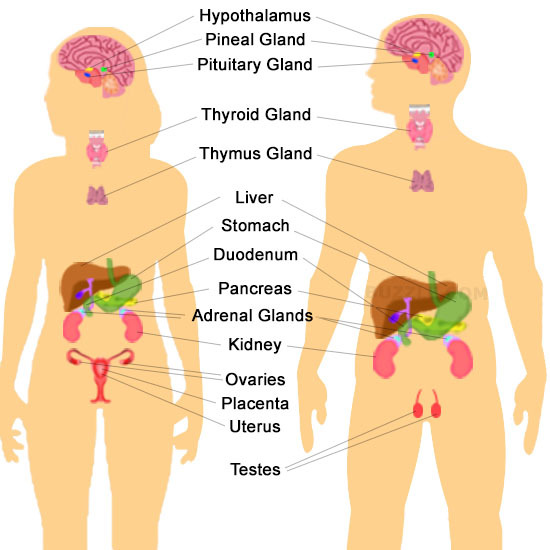 Hormones are defined as “chemicals produced in endocrine glands that are secreted into the bloodstream and cause an effect on target tissues elsewhere in the body”. They play a wide variety of roles in the healthy functioning and development of the body. The iGCSE specification only really mentions a small number of hormones so these are the ones I will focus on in this post. ADH is secreted into the blood by an endocrine gland at the base of the brain called the Pituitary Gland. The stimulus for the release of ADH into the blood comes from the hypothalamus (a region of brain right next to the pituitary gland) when it detects that the blood plasma is becoming too concentrated. This might be caused by the body becoming dehydrated due to sweating. ADH travels round the body in the blood until it reaches its target tissue which are the cells that line the collecting ducts in the nephrons in the kidney. ADH increases the permeability of the connecting duct walls to water, thus meaning more water is reabsorbed by osmosis from the urine in the collecting duct and back into the blood. This results in a small volume of concentrated urine being produced. Insulin is a hormone made in the islets of Langerhans in the pancreas. It plays a vital role in the homeostatic control of the blood sugar concentration. The pancreas will secrete insulin into the blood when the blood glucose concentration gets too high. There are many cells in the body with insulin receptors but the main target tissue for insulin is the liver. Oestrogen is a steroid hormone made by the cells in the ovary that surround the developing egg cell in the first half of the menstrual cycle. In puberty it causes the development of the female secondary sexual characteristics (breast growth, change in body shape, pubic hair etc.) but in the menstrual cycle, oestrogen has a variety of important effects. It stimulates the rebuilding of the uterine endometrium (or lining) to prepare the uterus for the implantation of an embryo. Oestrogen also affects the pituitary gland and can cause the spike in LH concentrations that trigger ovulation on day 14 of the cycle. 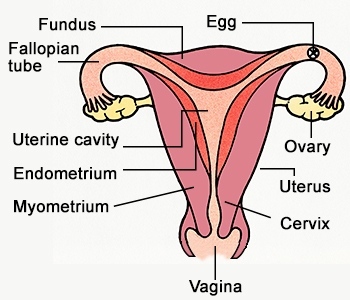 Progesterone is also made in the ovary but at a different time in the menstrual cycle. 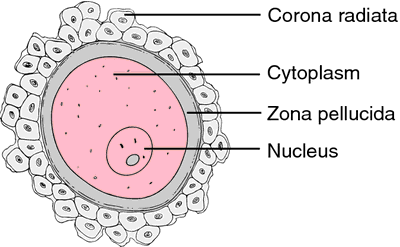 It is secreted by cells in the corpus luteum, a structure found from day 14 onwards after the egg has been released in ovulation. Progesterone has two main target tissues: it maintains the thickened lining of the endometrium in the uterus ready for implantation. Progesterone also causes the pituitary gland to stop secreting the hormones FSH and LH so a new cycle is never started. It is for this reason that progesterone can be used in women as a contraceptive pill.